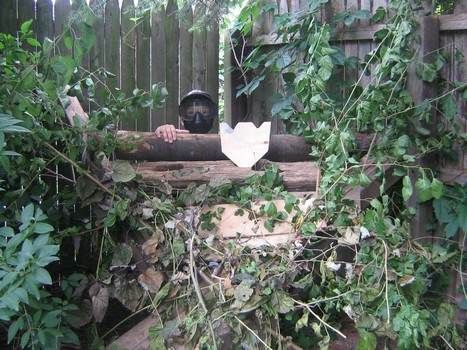 Build a fort on the ground or in a tree with free kids' fort plans. Children want a special place to imagine, dream and play in their own secret world. Give them a gift they will use for years and remember a lifetime. There are two-story forts, enclosed and open platform styles of forts available. 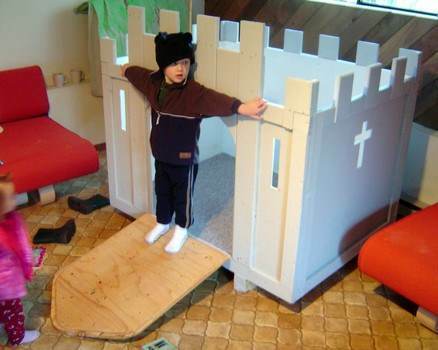 Kids' fort plans use stock lumber and common galvanized or stainless fasteners for rough and tumble play. Treated lumber prolongs the life of your structure, and water seal helps maintain the woods natural luster. 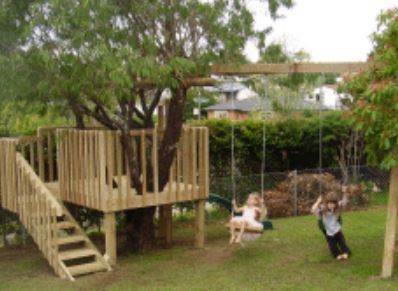 Whether you build on the ground, on piers or in a tree, a play fort is a great project for the whole family. 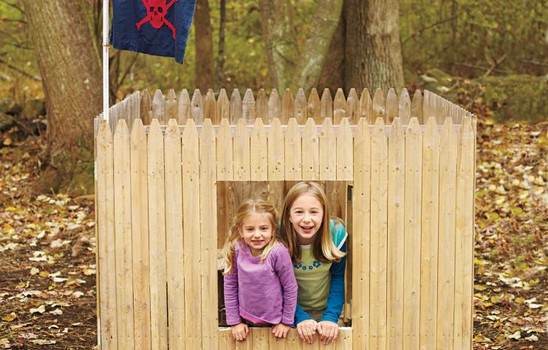 Spend a weekend building a custom fort and let the kids help in constructing their own personal hideaway. These plans can be adapted to fit your yard and budget, as well as personalized to suit your child's personality. 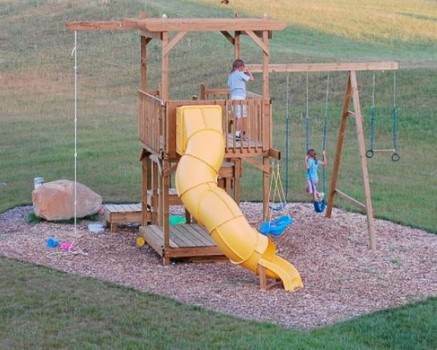 This backyard play fort plan offers lots of different activities such as a climbing wall, slide, tire swing and more. 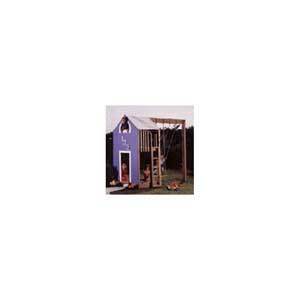 This play fort is a great structure with lots of play area, plus swings and other play equipment. This fun fort is designed to be built up in a tree and it's easy to build with this detailed step by step plan with a picture demonstrating each step. Transform a plain wooden crate into an awesome fort for days filled with fun and imagination; just follow this plan that can be completed in a single weekend. 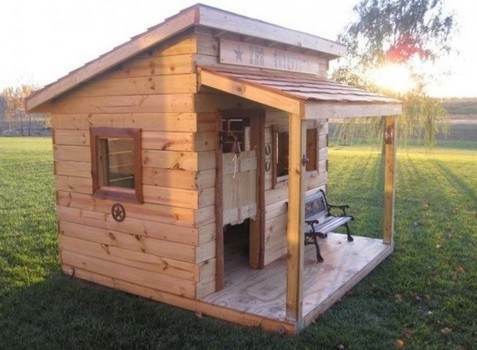 Build your little cowboy or cowgirl this awesome saloon fort with a covered front porch, just follow this well laid out woodworking project. 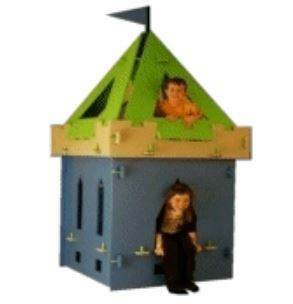 Here's a fort that's designed to be easily put together and broken down; perfect for toddlers who want to be King or Queen of their own Castle. 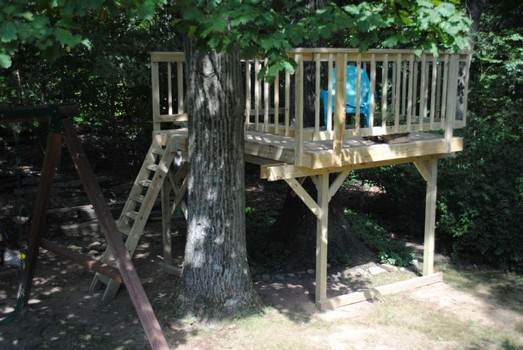 Here are 13 easy to follow steps to help you create this awesome above ground fort with a ladder for easy access and all around safety railing for peace of mind. 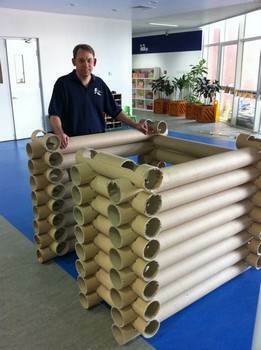 Using large tubing such as PVC pipe that are cut to fit together like Lincoln logs, you can build a great looking fort for outdoors or indoors. This woodworking project has it all with written instructions along with illustrative photos and if you prefer there's also a video. 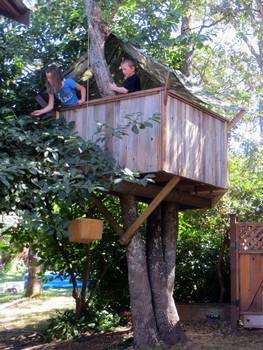 Create a backyard filled with fun and adventure by using this woodworking plan for a tree house fort with swing set. 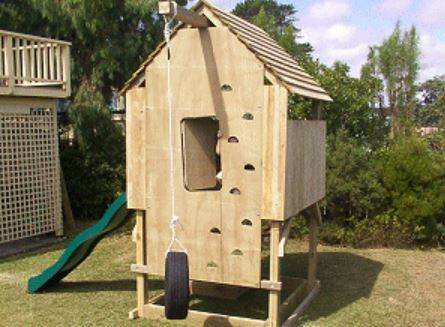 Using scrap wood and this plan you can build an outdoor fort using a few materials and give your kids their own private hideaway. 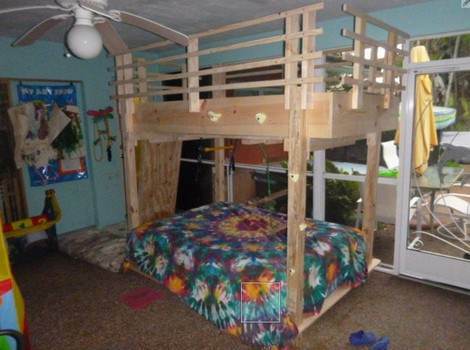 This strong and sturdy fort is designed to go above a bed, it has safety railing and makes for great indoor fun when the weather outside is rainy and/or cold.